Designed to bypass the factory EGR system. 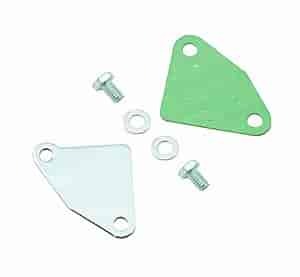 Mr. Gasket EGR Block-Off plates come complete with bolts, washers, gasket and a chrome plated block-off plate. Does Mr Gasket 7631 fit your vehicle? 7631 - Mr. Gasket EGR Block-Off Plates is rated 3.4 out of 5 by 5. Rated 5 out of 5 by Camaro 76 from Looked Great! It fit it worked I'm happy. Keep up the good work. Rated 1 out of 5 by Crispycc from Not right. Bought this for my son's 82 Delta 88, wasn't a good fit. I have not returned due to the low cost and annoyance value. Rated 1 out of 5 by 85vette from Wrong part It says it fits my vehicle but no where close. I'm sure it's fine for others.